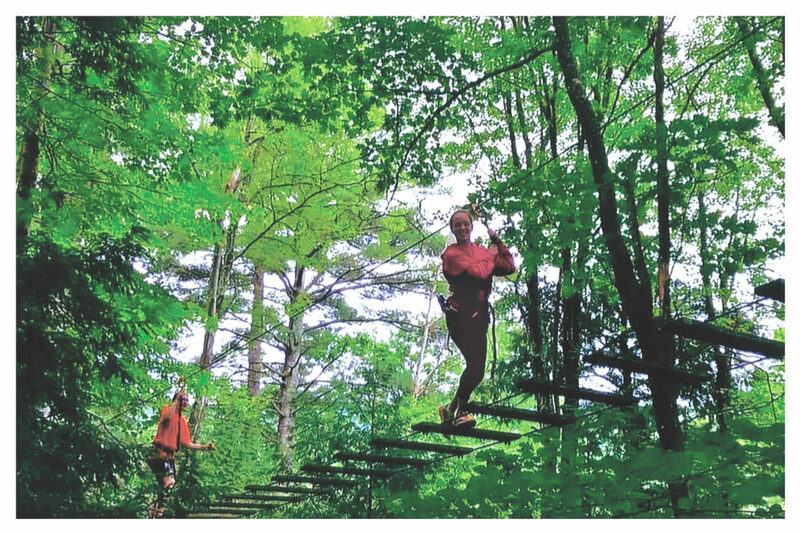 Courtesy photo A Camp Trek day-long field trip to Gilford’s Gunstock Mountain, hosted last summer during Naticook Day Camp, an annual day camp hosted by the Merrimack Parks and Recreation department, brings Sam and Brianna to masterfully traverse a suspended walkway high above the forest floor. In addition to the array of weekly activities offered, each child receives a daily hot lunch. Menu items vary but always include selections from a salad bar stocked with greens and veggies and a delectable dessert. Lunch is enjoyed at outdoor picnic tables or in the camp’s spacious Function Hall during rainy days. Tuition is modest. And, the memories – priceless.